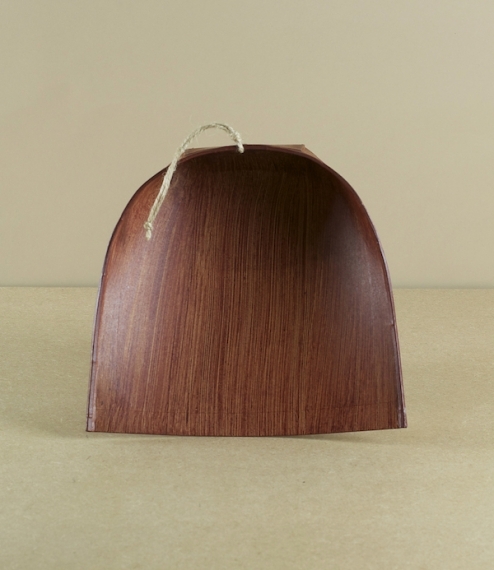 Extremely lightweight but eminently useable dustpans from Japan, made up of folded, glued, stapled, and riveted layers of Japanese paper stiffened with a bamboo reinforced rim and sealed and hardened with persimmon tannin. 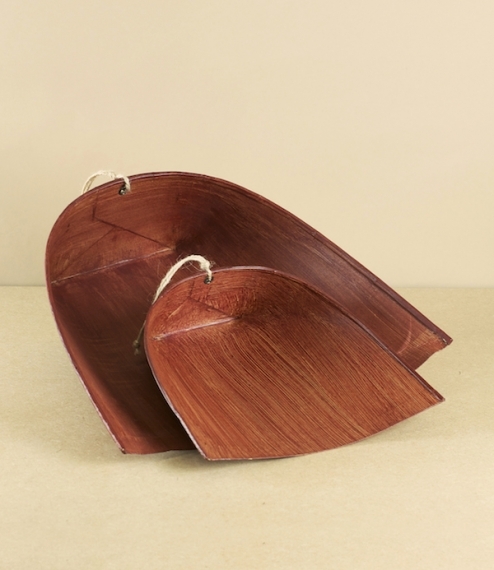 This natural varnish provides some water resistance as well as granting the dustpan a smooth low static surface allowing dust to slide easily into the bin. Handmade following ancient traditions of craftsmanship and simplicity in the Mokojima area of Tokyo. 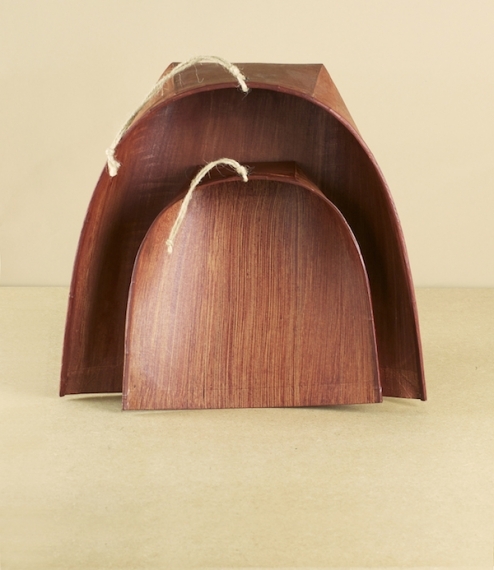 Available in two sizes, 4a at approximately 20cm by 20cm by 8cm and 4b at 30cm by 30cm by 10cm.